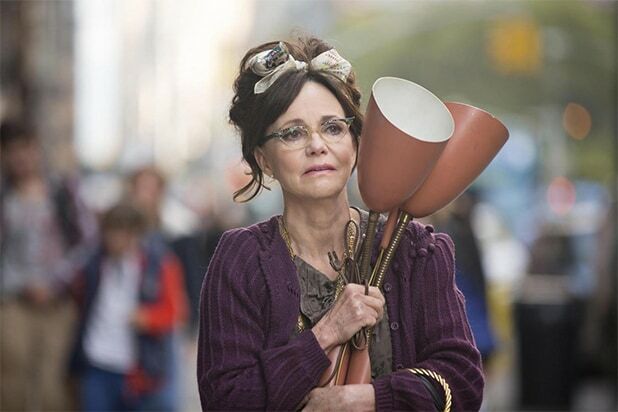 Many actresses have been speaking out about ageism and sexism in Hollywood, and now a new study confirms that Hollywood gives less dialogue to women the older they get. According to a study conducted by Polygraph, 53 million words (39 percent) were spoken from 2,000 screenplays by men between the ages of 42 and 65. 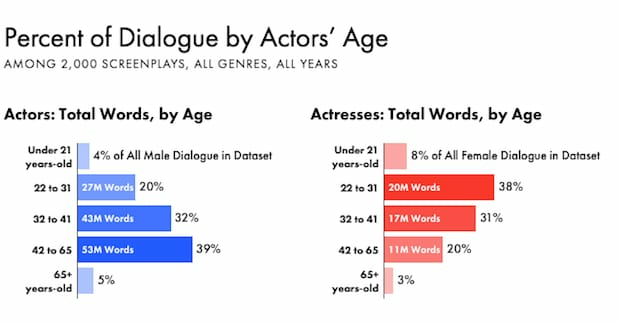 Comparably, women in that age range only spoke 11 million words, or 20 percent of all dialogue in films. The age range that had the most dialogue was 22 to 31, with 20 million words spoken (38 percent), while that age range for men constituted for 20 percent (27 million words) of dialogue. The older men get, the more dialogue they have in films. The opposite is true for females — the older they get, the fewer speaking parts they have. But as soon as both genders hit 65 and older, men and women only account for 5 percent and 3 percent of total words, respectively. The study also analyzed Disney films and found that, even in movies about females, males dominated in dialogue. For example, in “Pocahontas,” men spoke roughly 70 percent of the words. Similarly, in “The Little Mermaid,” men accounted for 72 percent of dialogue. “Frozen,” “The Incredibles” and “Into the Woods” both had equal male and female dialogue, but only the speaking roles of “Inside Out,” “Alice in Wonderland,” “Maleficent” and “Sleeping Beauty” were predominantly female. The creators of the comprehensive and exhaustive research study also looked at the top 2,500 grossing films and found that most of those had predominantly more dialogue from men than women. Very few films, like “You’ve Got Mail,” “Chocolat,” “Scream 3” and “Minions,” struck an equal balance between male and female spoken words. And out of all the genres, action actually had the least female dialogue, with approximately four films (“Catwoman and “Charlie’s Angels” included) having predominantly female speaking parts. This study coincides with findings from this year’s “It’s a Man’s (Celluloid) World,” where the study concluded that women accounted for just one third of all speaking characters in films in 2015, a 3 percent increase from the previous year. 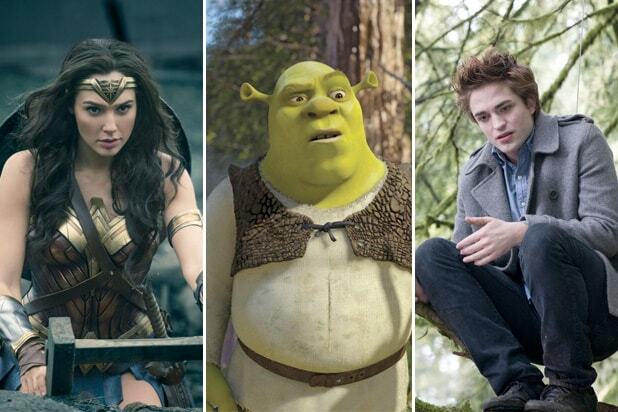 The study examined 2,500 female characters in the top 100 domestic grossing films, and it revealed only 34 percent of major characters were female, representing a modest increase from 2014. See the comprehensive study here.